On Saturday, March 2nd Bali WISE Recruitment team had a socialization trip to Buleleng. We visited three schools, one village and Mr Putu’s house in Tejakula Buleleng to socialized about our Bali WISE Education Program. This socialization trip aims to reach more marginalized student who has strong desire to get a better education, we help them to achieve their desires and alleviate them from poverty by providing our Education program. Many students were participated and very enthusiastic to get to know more about Bali WISE education program. Total number of students participated in our socialization were 176 students and 41 students joined the English test selection. On Friday and Saturday two weeks ago, Bali WISE recruitment officer, Ms. Komang, went on a socialization trip to Karangasem (North Bali). 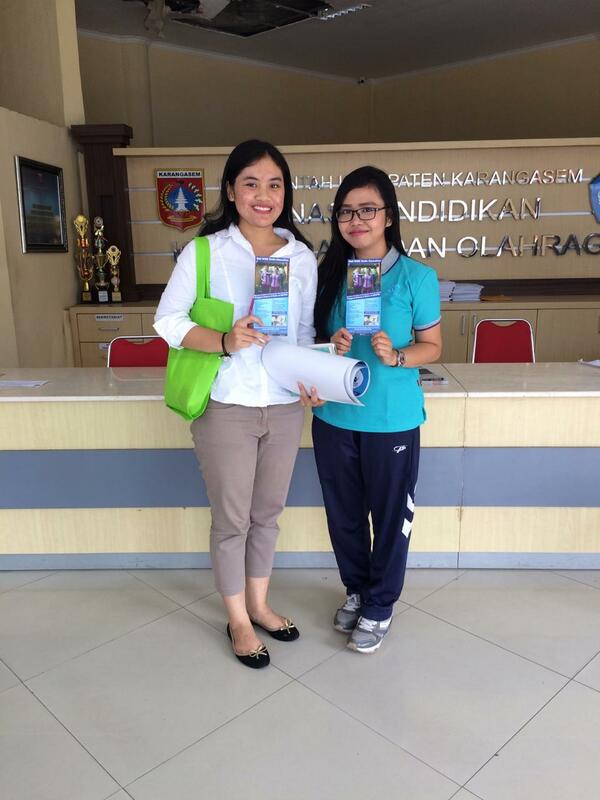 She visited two schools, two foundation, one orphanage, and the Education Department of Karangasem. Her mission is not only to socialize Bali WISE program, but also the recruit potential students for April, 2019. There are 80 students who participated at the socialization and 20 of those joined the selection test. On Friday, August 31 2018, the Recruitment Officer had the recruiting visit to Bangli and Gianyar area. We are still on the time of opening the registration for October term. We visited three places: two foundations and one school. We did the socialization as well as contributed the Bali WISE soaps. The first visit of the recruitment was SMA Gurukula Bangli on Friday, August 31 2018. The school is part of the foundation based in Bangli named Yayasan Pasraman Gurukula. There were 23 students who joined the socialization. All are the students in the final year of high school and are going to graduate next year. The students were attentive in the process and the end of the socialization; there were 5 students who were willing to join the first test. They will be considered to enroll the April term 2019 once they graduated from high school. The second place visited was SMK N 3 Kintamani. The school was first built on 2009 and it was the first time of the recruitment officer to visit the school. There were 83 students joined the socialization who are in the final year of the grade. As they would only capable to enroll the Bali WISE after they graduate next year, we did not do the direct test despite the amount of the students who were interested to join. However, we asked them to list down their names as well as the phone number for us contacting once they are close to graduate next year. There were 30 students who filled the list to join the Bali WISE. The last visit the recruitment officer had was Bali Children’s Project. Based in Ubud, Bali Children’s Project is a foundation which dedicates to help the children in Bali to break free from the poverty through education. There were 16 students who are in the final year of high school joined the socialization and were interested to join Bali WISE once they graduate next year. The students listed down their names and phone number to be contacted when they are near to graduate. In addition, we also donated the Bali WISE soap to be given to the children under Bali Children’s Project foundation. The recruitment officer did the Bali WISE socialization as we are still opening the recruitment for term July. On Wednesday and Thursday, May 16th and 17th 2018, we visited some destinations in Singaraja and did the socialization as well as distributing the Bali WISE soap. We visited two foundations and three village representatives. The Recruitment Officer very first visit was SOS Children’s Village Tabanan on Wednesday 16th 2018. We only had the short visit and did not do any socialization. We only distributed the Bali WISE soap. The second place we visited was panti Asuhan Nurul Jadid. We met the head of the foundation. We did the short presentation, as well as informed that we are currently opening the student recruitment for term July. Besides, we also distributed the Bali WISE soap. The second place that we visited was Desa Pemuteran, Gerokgak, Buleleng on Wednesay 16th May 2018. We met one of the village representatives who are helping the unfortunate students in getting the higher education after they graduated from High school. We did the socialization attended by 9 students who just graduated from High School. There were 6 students joined the test. It was the first time for the recruitment visiting the place and they had the huge enthusiasm in joining Bali WISE and wish to get accepted as they will the pioneer of the village who joined Bali WISE. At the end of the socialization and test, we distributed the Bali WISE poster. We re-visited Desa Pemuteran on the next day, Thursday 17th May 2018 as they asked for more students interested to join. We did the socialization with 7 students joining it. There were 4 students joining the test. The third destination that we visited was Bali Children Foundation. At first we met the head of the foundation and the students. There were 21 students who attended the socialization including three boy students. After the socialization, there was 1 student who confidently raised her hand and joined the test. Besides, we also distributed the soap to be used by the students. The fourth visit of the Recruitment officer was Desa Tejakula, Buleleng. We met one of the village representative and 8 students joined the socialization. Besides, there were also two mothers of the students who joined the socialization as they were willing to know more about Bali WISE. There were two students who joined the test and got enthusiastic as they wished to get accepted in Bali WISE. Have you ever wondered how are Bali WISE students chosen? We would like to share with you experiences from our last recruitment trip. On Thursday and Friday, 19th – 20th April 2018, Recruitment team went to Karangasem. We visited two schools, two foundations and Education Department of Karangasem to find qualified students for new intake in July 2018. The second school visited by recruitment team was SMKN 1 Manggis. 16 students there joined the socialization and were excited to know more about Bali WISE program aspecially because it was first time to introduce Bali WISE program to this school. 3 students demonstrated interest and applied for Bali WISE program. The third place we visited was Dinas Pendidikan Karangasem. 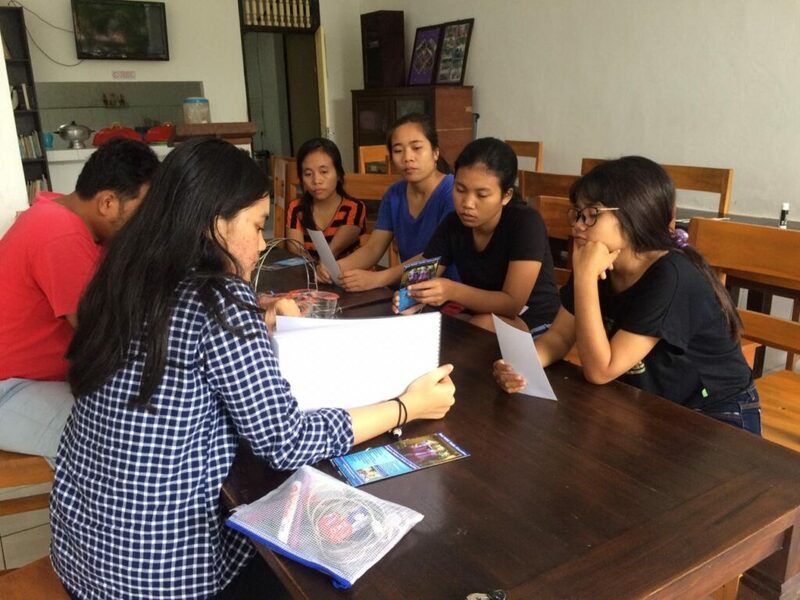 After short conversation with the head of Education Department our team delivered flyers and posters to be spread to the students in some Banjar within Karangasem. Furthermore, we made an appointment to visit next time for socialization. Next destination was a non-profit foundation named East Bali Poverty Project (EBPP). We visited one of the schools of EBPP based in Cegi Mekar Village, called Cegi Mekar School. Of all the places we visited previously, it was the hardest and the most extreme place to access. Besides, the location was only 4 kilometers away from Mount Agung. We did the brief socialization and accepted applications from students. Recycled soap was also distributed. On the second day we visited Carolia Charity as the last destination of the socialization trip. Located in Subagan, Karangasem. It was one of our regular visits. There are alumni of Bali WISE from Carolia Charity who are all successful in their careers after graduation from Bali WISE and are role models for current students at Carolia. The students we met were all excited to apply to Bali WISE. They all hope to be as successful as their sisters who already graduated. Besides the socialization, we also distributed recycled soap and sandals to the students.